Every OS upgrade brings up a few kinks, but none quite as problematic as the latest one in Apple's recent history. 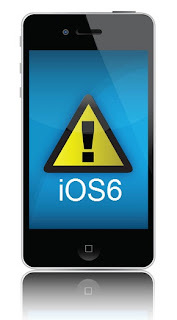 The company's iOS 6 has been less than sterling, with a significant number of users complaining and asking for a rollback. One of the most serious bugs found in this operating system is its incompatibility with Exchange ActiveSync - a complex XML protocol from Microsoft that handles the synchronization of mail, events, and tasks (among others) between a server and a mobile gadget. Immediately after updating their iPhones to iOS 6, users began reporting problems with push email delivery. Though not all users experienced the push problem, those who did were forced to check for email manually. The same push issue occurred during the upgrade to iOS 4. Apart from the email delivery issue, the so-called "hijacking" bug of calendar meetings is considered one of the most annoying issues concerning Exchange ActiveSync and iOS 6 at the moment. What happens is that once the invite is sent, the meeting organizer position shifts to one of the invitees for no reason, leaving the original organizer unable to make changes or cancel certain meeting details. There is no sign of a solution yet, as Apple rarely responds to such queries until a viable solution is on hand. What's worse, Microsoft can't exactly work on the issue, as the problem lies not in EAS itself, but in iOS 6. Apple's recent track record notoriously shows that it barely acknowledges the need to work with EAS, hence a high level of known issues when EAS is used in conjunction with Apple products. Microsoft's workaround suggestions from the bug are useful but take away an important functionality. Users are asked not to use iOS 6 devices to change any calendar details, which means a serious loss of efficiency for many EAS users. Another option is to switch to POP/IMAP to avoid the use of EAS for the moment. Finally, Microsoft recommends users to refrain from upgrading to iOS 6, but at this point the warning may be moot. The company has acknowledged the issue but cannot fix the bug – as it is the ball is in Apple's court now, and iPhone and EAS users are waiting.